Novak Djokovic enjoyed plenty of success at the Miami Open presented by Itau when it was held at Crandon Park in Key Biscayne, but the top seed hopes to create equally positive memories at the Hard Rock Stadium. The Serbian seeks a seventh title at this event, which would give him sole ownership of the record he now shares with Andre Agassi. After a surprise third-round defeat last week to Philipp Kohlschreiber at the BNP Paribas Open, Djokovic went straight to the practise court for a few days of heavy training. Despite the new location, Djokovic said he can still draw on his past experiences at this event. Although he sports a 42-6 record at Crandon Park and a blank slate at the Hard Rock Stadium, Djokovic supported the decision to switch locations. After hitting on Stadium Court and giving it his stamp of approval, he said the new venue provides a unique opportunity to bring the sport to an even wider audience. It’s hard to believe that 12 months ago, Djokovic suffered back-to-back opening round losses in Indian Wells and Miami, leaving critics to ponder what his next move would be. Since then, he’s amassed three Grand Slam titles, two Masters 1000 titles (Cincinnati, Shanghai), finished runner-up at the Nitto ATP Finals (l. to Zverev) and is the clear No. 1 in the ATP Rankings. Djokovic credited the guidance of his family, particularly his brothers Marko and Djordje, with his success over the past 12 months. Both of his brothers competed on the ATP Tour and understand the sacrifices that are necessary to excel in tennis, but the top seed said the simple lessons he’s learned from them have had the most impact. His new perspective has been less results-focused and is more process-oriented. Djokovic opens his Miami campaign against Aussie Bernard Tomic or Brazilian qualifier Thiago Monteiro, but said he isn’t worried about anything besides his own performance. Novak Djokovic and Roger Federer won’t be playing doubles together at the Miami Open presented by Itau, but the two former Miami champions took to the court together on Wednesday for the ribbon-cutting ceremony at Stadium Court. Djokovic, who is going for a record-setting seventh Miami title, and Federer, a three-time Miami champion, joined WTA players Naomi Osaka and Serena Williams to celebrate the first day of main-draw play at Hard Rock Stadium, the home of the NFL’s Miami Dolphins. The ATP Masters 1000 tournament is being held in Miami Gardens for the first time, after 32 years at Key Biscayne. The tournament was also held in Delray Beach (1985) and Boca Raton (1986). 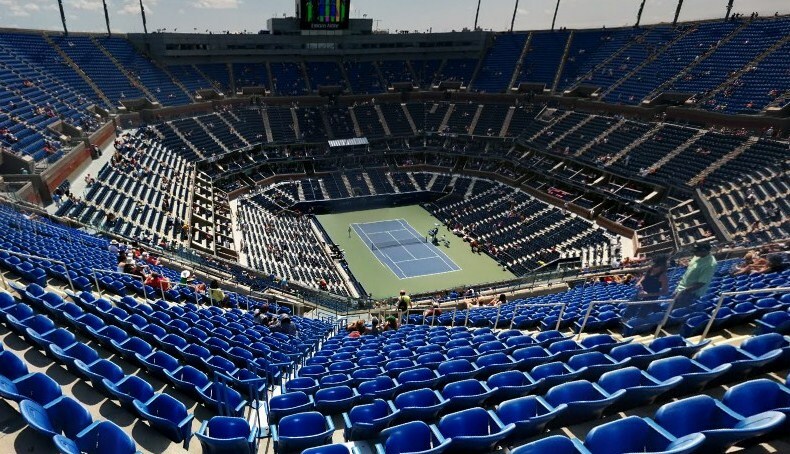 Stadium seating capacity is 13,800 and other seating capacities are 5,191 at Grandstand, 3,024 at Court 1 and 1,564 at Butch Buchholz. Overall the complex has 12 match courts and 18 practice courts. So far, players seem to be impressed with the spacious new grounds. “For the players, the facility is much bigger, much more room and many more courts, so all in general, to play tennis, it’s very nice,” Zverev said. Djokovic was impressed with the details of the new complex. “I think the colour [of the court] is really nice. It resembles ocean and water. It’s the colour of the Miami Dolphins, and we are guests in their stadium for the first time this year. Defending champion John Isner will miss reliving memories from his first ATP Masters 1000 title at Key Biscayne. But the American is keeping an open mind. “Being here for the first time is really cool and unique. As the defending champ, it does have a different feel to it because it’s a completely different venue. At the same time I feel like I’m in a pretty good spot with my game, better than I was last year coming into this,” Isner said. Federer, who’s playing in the tournament for the 18th time, will, like his peers, miss Key Biscayne. But he’s also energised by the new site. 1. A New Home: The Hard Rock Stadium is the new venue for the 35th edition of the Miami Open presented by Itau. The tournament was held the past 32 years in Key Biscayne after one year in Delray Beach (1985) and Boca Raton (1986). The Stadium seating capacity is 13,800 and other seating capacities are: Grandstand (5,191), Court 1 (3,024) and Butch Buchholz (1,564). 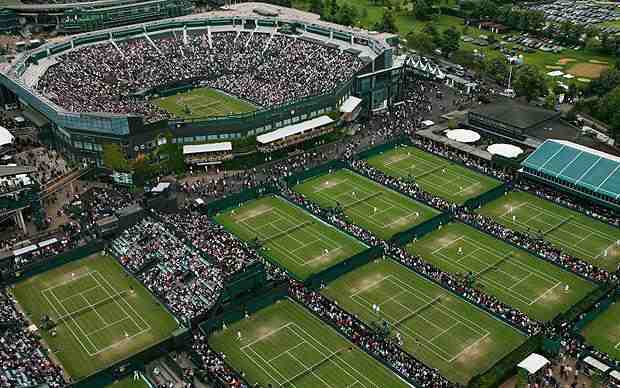 Overall there are 12 match courts and 18 practice courts. 2. The Field: Six-time champion Novak Djokovic, three-time winner Roger Federer and reigning champ John Isner are the players in the draw to hold the Miami Open trophy. Overall 18 of the Top 20 players in the ATP Rankings are competing in Miami. 3. Novak Top Seed: This is the fifth time Novak Djokovic comes into Miami as the World No. 1 and top seed, and the first since 2016 when he won a record-tying sixth title. He won three titles as World No. 1 in 2012, 2015-16. He is 20-1 in Miami at No. 1 and 42-6 overall. He won his first of 32 ATP Masters 1000 titles in 2007 Miami. Last year he came in No. 12, losing to Paire in his opening second-round match. 4. Roger Returns: Federer is making his 18th Miami Open appearance since his debut in 1999. The 37-year-old Swiss superstar is 50-14 in Miami. Federer is 12-2 on the season, highlighted by his 100th tour-level title at the Dubai Duty Free Tennis Championships and a runner-up finish at the BNP Paribas Open, an ATP Masters 1000 tournament in Indian Wells. 5. Defending Champion: Last year Isner rallied past Alexander Zverev to capture his first ATP Masters 1000 title and become the first American to win the Miami crown since Andy Roddick in 2010. Isner comes in with a 10-6 record on the season. The top American is 19-10 lifetime in Miami. 6. Sunshine Double: Seven players have swept the first two ATP Masters 1000 events of the season in Indian Wells and Miami. Djokovic has accomplished the feat four times (2011, 2014-15-16) and Federer has done so three times (2005-06, 2017). The others are Andre Agassi (2001), Marcelo Rios (1998), Pete Sampras (1994), Michael Chang (1992) and Jim Courier (1991). 7. Thiem Title Time: Austrian Dominic Thiem captured his first ATP Masters 1000 title at Indian Wells (d. Federer) on Sunday. It was Thiem’s 12th career ATP Tour title and he jumped from No. 8 to No. 4 in the ATP Rankings, equaling his career-best ranking on 6 November 2017. 8. #NextGenATP Seeds: Three #NextGenATP players are seeded in Miami: No. 8 Stefanos Tsitsipas, No. 20 Denis Shapovalov and No. 28 Frances Tiafoe. Shapovalov and Tiafoe reached the fourth round last year, while Tsitsipas lost in the first round. 9. Wild Cards: The five wild cards are: Christopher Eubanks (USA), 2013 finalist David Ferrer (ESP), Miomir Kecmanovic (SRB), Nicola Kuhn (ESP) and 17-year-old Chun Hsin Tseng (TPE). 10. Strong Doubles Draw: The Miami doubles field features seven year-end Top 10 teams and six duos making their debut together. Reigning champions and five-time overall winners Bob Bryan and Mike Bryan, the No. 3 seeds, have a 58-15 record and this is their 21st straight appearance. The top seeds are Lukasz Kubot and Marcelo Melo, who captured the Miami title in 2017. There are four Top 10 singles players in the draw: No. 3 Alexander Zverev, No. 4 Thiem, No. 9 Isner and No. 10 Tsitsipas. There have been 19 different players who have won the 19 tour-level tournaments in 2019, the first time that’s occurred to begin a season since the ATP Tour began in 1990. Eight players in the current Top 18 of the ATP Rankings have won a title this season and there have been seven first-time winners. 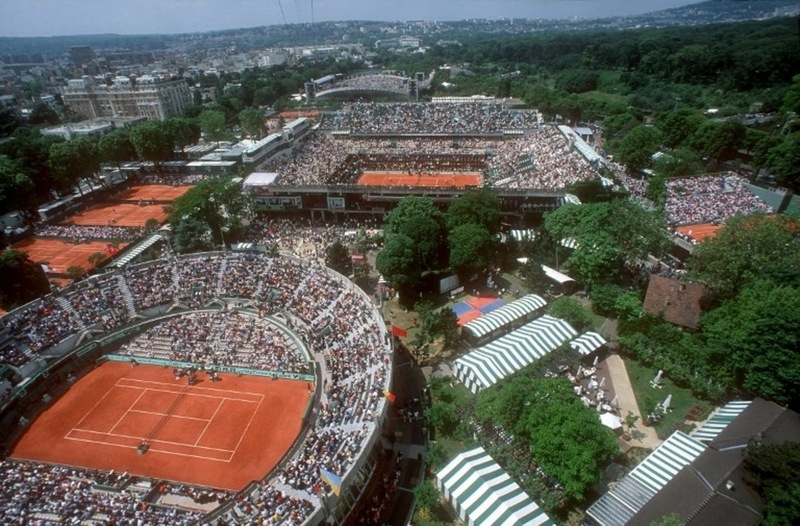 Three players have won their first tour-level title at an ATP Masters 1000 event since the series began in 1990 – Roberto Carretero at 1996 Hamburg, Chris Woodruff at 1997 Montreal, Albert Portas at 2001 Hamburg. There are 11 main draw first-round singles matches and 12 final round qualifying matches on Wednesday’s opening day schedule, led by former World No. 4 and 2010 Miami Open finalist Tomas Berdych, who is ranked No. 89, his lowest since he was No. 93 on 1 March 2004. 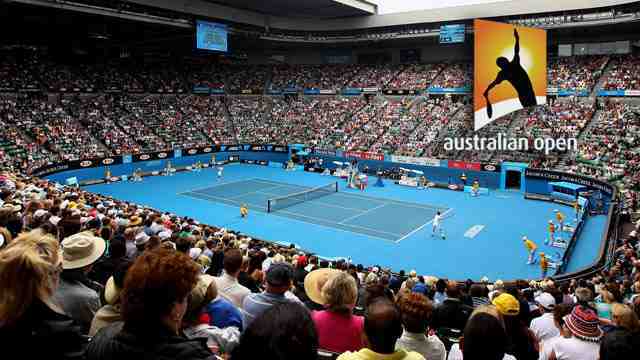 Berdych takes a 5-0 head-to-head record against Aussie Bernard Tomic. In qualifying on Court 1, Canadian #NextGenATP star Felix Auger-Aliassime (18), who reached his maiden ATP Tour final in Rio de Janeiro last month, takes on Italian Paolo Lorenzi. In the next match on, former World No. 5 Jo-Wilfried Tsonga tries to qualify into his first ATP Tour event since 2007 Queen’s Club in London. He plays Pablo Cuevas of Uruguay. Dominic Thiem arrived at the BNP Paribas Open with a 3-4 record to start the season and left with his first ATP Masters 1000 title. Not only did the win launch him from No. 90 to No. 5 in the ATP Race To London, but fans also seem to think the Austrian is on his way to qualifying for the Nitto ATP Finals for the fourth straight year. Fans have been provided with an opportunity to pick the eight players they believe will qualify for this year’s season finale. Based on his inspired run in Indian Wells and victory over Roger Federer in the final, Thiem is currently the seventh hottest pick, with 43.2 per cent believing he’ll appear at the O2 in London. 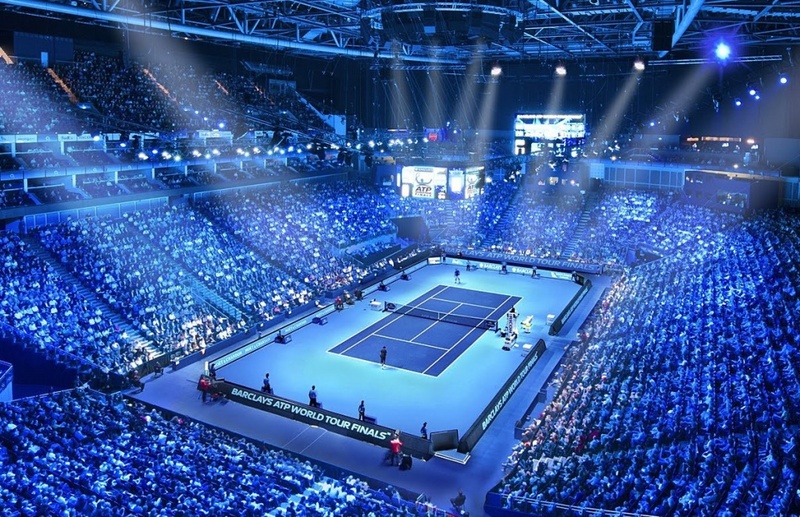 Pick the eight players you think will qualify for the 2019 Nitto ATP Finals and you could win the ultimate trip for two to London to attend this year’s season finale. Perhaps surprisingly, the opening-round exit that Stefanos Tsitsipas had in Indian Wells did nothing to impact fan perceptions of whether he will qualify for the season-ending championship. In fact, more fans believe he will make it there. The Greek player jumped over Kei Nishikori as the fifth hottest pick with 57.9 per cent of fans selecting him, up from 51.2 per cent two weeks ago. He seeks to become the first player to compete at the Next Gen ATP Finals and then make the Nitto ATP Finals the next year. When Andy Roddick was 17 years old, he was on the same flight as fellow American Andre Agassi. The teenager hadn’t yet earned an ATP Ranking, but he wanted to pick the brain of his hero, so he asked Agassi if he had any regrets. The former World No. 1 and 60-time tour-level champion told Roddick that he wished he had started his foundation earlier. The next year, 2000, he founded the Andy Roddick Foundation to help support underprivileged children. To this day, the Andy Roddick Foundations helps provide high quality out-of-school learning and enrichment for youth and families where there may not otherwise be such opportunities. The Foundation has raised more than $20 million for children’s charities since its inception. Last September, despite suffering a disappointing fourth-round loss at the US Open, Roger Federer traveled to Austin, Texas, to star at a conversation-based event raising money for the Andy Roddick Foundation. It’s been more than six-and-a-half years since Roddick retired at the 2012 US Open. But he is still working hard — just not on the tennis court. Instead, his efforts are dedicated towards helping kids and their families. Roddick’s life has also fundamentally changes since his days competing on the ATP Tour. Roddick’s wife, Brooklyn Decker, has since given birth to two children. So while their first child, Hank, was born 15 years after the Foundation was created, the work it does has resonated even more since. Kyrgios participated in a Q&A session with students about overcoming adversity and being a positive force in the community along with Kei Nishikori, Stefanos Tsitsipas, Marin Cilic, Diego Schwartzman, Nicolas Jarry and Petra Kvitova. The World No. 33 also spoke about the sacrifice required to make it as a pro tennis player.